The smallest and most feeble German tank was the Pz Kpfw I (abbreviation for Panzer-Kampfwagen I, commonly referred as Mark I). Produced in two main models since 1934, the design included a fully rotating turret mounted with two 7.92mm machine guns and an armour thickness of 13mm, restricting its usefulness wholly to engagements with enemy infantry. It was considered lacking in armament and protection even in Spanish Civil War, so by the time of Barbarossa it was plainly an obsolete model. Despite this, 281 were included in the invasion force and the remaining stocks were relegated largely to training roles. A year after the Mark I came into service the Mark II appeared, a slightly heavier tank that saw many upgrades and variants. The improved D and E models known as ‘fast fighting vehicles’ (Schnellkampfwagen) entered service in 1938. These were adapted with armour up to 30mm and included a torsion bar suspension system with larger wheels which in addition to a new more powerful engine raised the top speed to 55 kph. The trade-off was that high speeds could only be achieved on sealed roads, while cross-country performance was hampered. The main armament was a 2cm L/55 gun with a secondary 7.92mm machine gun mounted next to it in the traversing turret. Panzer training regulations of 1939 classed the Mark II as being ‘chiefly designed as an anti-tank weapon’, yet its record in France proved very poor. By the beginning of 1941 the Mark II was remodelled in a new F series with only thicker armour and no change in the main armament, rendering it, like the Mark I, outdated on the modern battlefield. The army deployed 743 Mark II tanks in Operation Barbarossa, which together with Mark I make up over 1000 tanks. This meant that 28 per cent of the total tank force consisted of obsolete models. As a result of the bloodless occupation of Czechoslovakia in 1939 the Wehrmacht was able to benefit from the considerable arsenal of high-grade Czech weapons. Czech advanced design outstripped both the Mark I and Mark II, at that time the mainstays of the German tank fleet. The heavier of the two Czech models was dubbed by the Germans Pz Kpfw 35 (t) and featured 35mm armour, a 3.7cm vz 34 anti-tank gun as main armament, plus two 7.92 machine guns, one mounted in the turret and the other alongside the driver on the hull. Germans overcome some tank problems, though some of them remained basic to the design. The armour was riveted, not welded, so the rivets had the dangerous tendency to pop out under the impact of a heacy shells, sending the rivet shanks flying through the inside of the tank as secondary projectiles. By the launch of Barbarossa, the Model 35 (t) was in decline and was deemed ‘no longer suitable for combat’ In total 157 Pz Kpfw 35 (t) tanks supported the German invasion and not one of 6th Panzer Divisions 105 tanks saw out the year 1941. 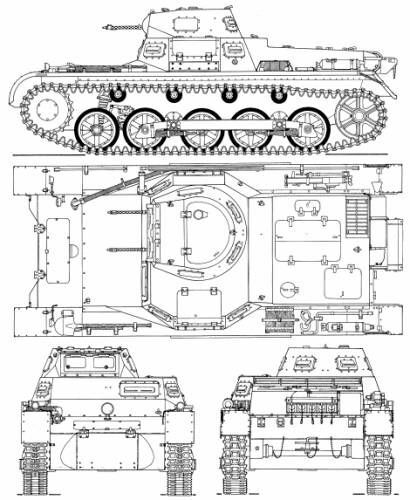 Following on from the early disappointment of the Pz Kpfw 35 (t), the Czech authorities comissioned a new design what later called Pz Kpfw 38 (t). Lighter than its predesessor, the first four designs had thinner armour (25mm) until November 1940 when the new series E and later F attempted to rectify this inadequacy with an extra 25mm plate added to the frontal surfaces and 15mm to the sides. 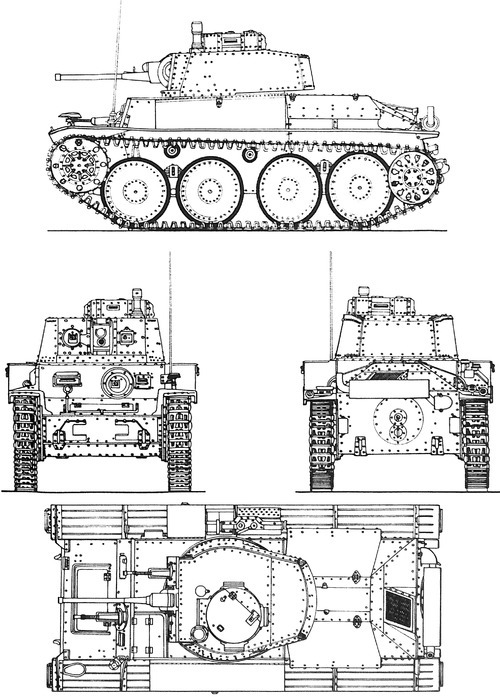 The armament was similar to Pz Kpfw 35 (t), supporting a 3.7cm KwK 37 (t) main gun and two 7.92mm machine guns. The Pz Kpfw 38 (t) was also adapted by the Germans to fit a four-man crew with addition of a gun loader to the driver, radio operator and commander/gunner. 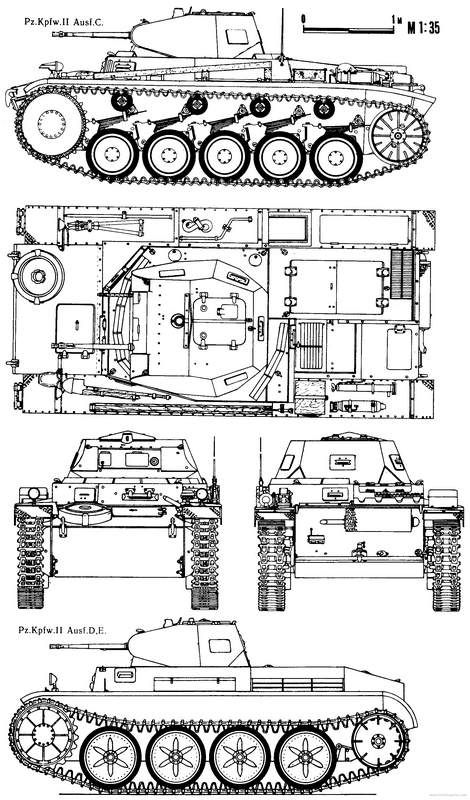 Excellent performance and durability of the chassis was extremely reliable mechanically and offered itself as an appealing base for later variants in design including the Panzerjager Marder III and Hetzer. The Pz Kpfw 38 (t) represents the best of all the German light tanks at this time and some 651 were deployed for service in Operation Barbarossa, making up a large portion of Hoth’s Panzer Group 3.